The band having secured their license from the Union to solicit for employment were ready to sample the musical opportunities that the East Bay had to offer. 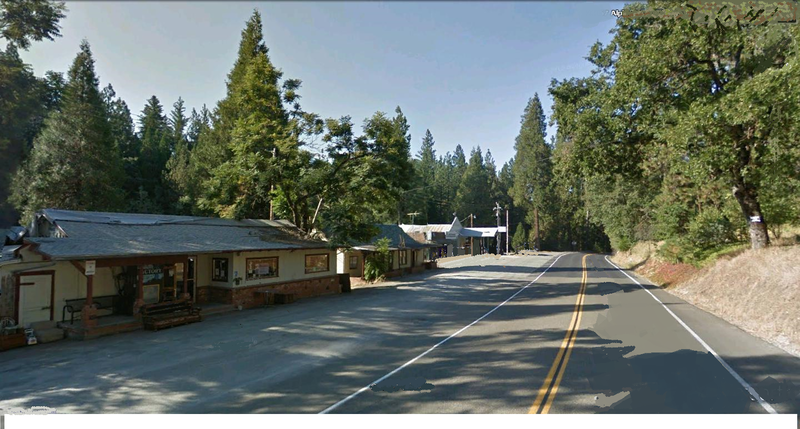 Gary’s parents augmenting a journey to their Sierra Mountain Pioneer retreat, still in the construction stage, it’s colloquialism designation, a cabin, but in reality a future two bedroom small retirement home. 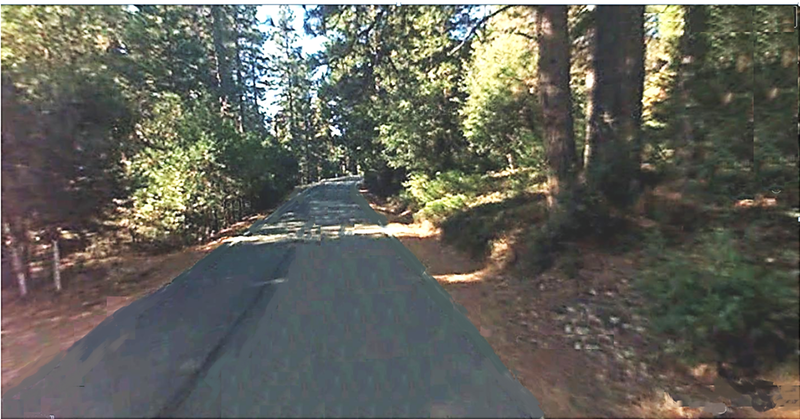 The purpose of the trip being to convey building materials for the project and extending a weekend invitation for three musician to respite from their prodigious endeavor of securing a booking and to immerse themselves in the aura of the foothills embracing the Sierras. 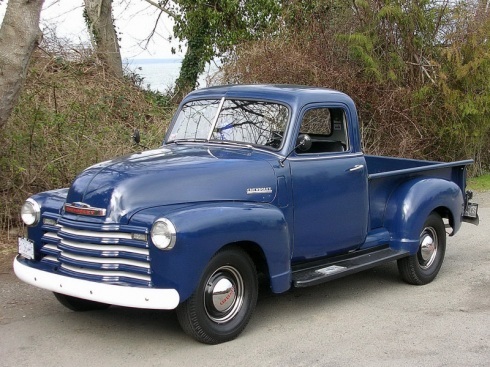 During his military service Gary’s dad had purchased an additional pick-up truck, a 1/4 ton 1948 Chevrolet, giving retirement status to the responsive 41 Chevy Four Speed. Setting about his parents occupying the piloting seat the three wayfaring musicians occupying the pickup truck-bed like steerage passengers among the amassed amount construction material stored aboard. Traversing thru the Livermore Valley it was soon discovered that the 1948 transports performance was struggling, vacillating with hesitations. Gary’s father finally halting its progress, diagnosing a fuel pump problem and accordingly turning about nursing the pickup back to Oakland before the fuel inadequacy caused a standstill. The cargo transferred to the old responsive 4 speed 41 Chevrolet the group once again resumed their travels bound for the Sierras. The three cohorts thankful that the building material in the back of the pickup provided some protection from the on rushing wind. Leaving the stifling calidity of the San Joaquin Valley turning east on highway 88 that venture thru Kit Carson Pass to Nevada. The rolling acclivity of the foothills becoming prevalent Gary pointing out to the California newcomers the hillside tailings, the residue giving notice of past excavation for the accolade of precious metals, gold. The stage-stop town of Pioneer having remaining a timeless remnant of the past coming into view, the encompassing travelers turning north onto Buckhorn Ridge Road, the last blacktop, then gravel and dirt the remainder of the way. As the pickup made itself down the final dirt lane still very much familiar, Gary affronting the recollections of youth, a waning, the prospect of adventurer no longer the precursor of record but still a viable memory. Disembarking, viewing the raising walls predicated the sub floor proclaiming a beginning credence to its oracle, a signature of accomplishment addressing the cabin structure.. The visitors more than willing to assist the elder Willson in the fabricating task at hand, their labor a welcoming addition to the complex, but Gary awaiting opportunity having another calendared event readied for activation. The night in the forest laden environment was enshrouded in darkness, save the hue and shadows cast by the pitted bellowing flames of the bond fire, a much remember tradition from Gary’s past, its essence surrounded by a captive family. The morning would bring an undertaking to corral the clandestine remains of their accomplishments, once accomplished allowing the applauded help a time to begin a quest of promontory discovery, a search for the hidden remains of past gold excavations. The three explorers flashlight in hand venturing down the frequented path of Gary’s youth, past the natural water source, the spring still flowing from the track laden abandon mine. Traveling deeper on the zoological trail with its tree enshrouded covering canopy seeking signs of the vigilant mounds, mine tailings, remnants off past excavations. 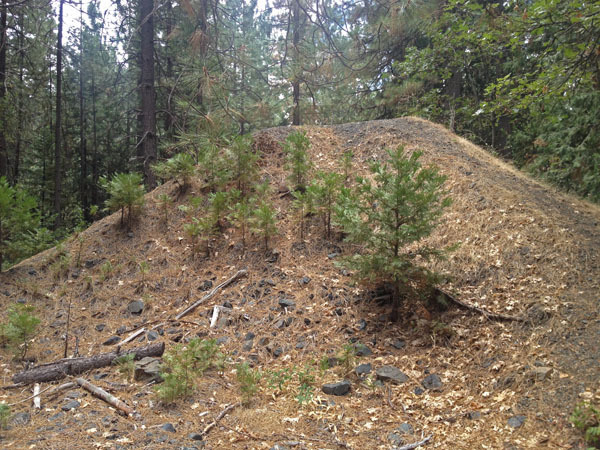 Eureka, the discovery of pine needle covered tailings leading from a draw, a positive sign. With further investigation, behind the concealing brush the remains of a mine entrance, from its appearance its ground level small opening could be access from a prone position. A closer examination found a steep sloping incline, Gary well aware of the possible danger of vertical shafts of twenty feet and deeper, having stumbled upon them in his youthful discovery era. Knowing from experience, a first discovery would accelerate Jerry and Glenn’s enthusiasm just as his exuberant was vaulted in the past, noting that it was often ensued during haste and that inventiveness sometimes would preclude precaution. An approach was conceived to ascertain the entrance could be breached and what lay beyond the entrance. It was devised that Jerry would enter laying on his stomach breaching the entrance slowly lowering himself into the subterranean abyss, Gary would follow holding his legs and following suite, Glenn holding Gary’s extremities. 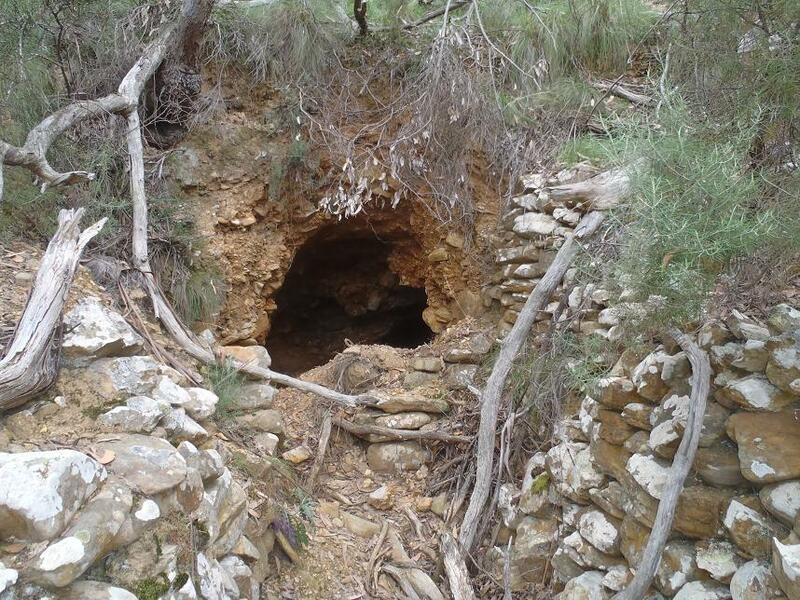 Jerry could then determine whether this was just an exploratory hole or the entrance to a once workable mine. The results from Jerry’s observation were discouraging, if it was once an entrance the tunneling was no longer viable, having been sealed decades ago. It was only after the abortive attempt did Jerry mention a concern about being first into the darken abyss, the possibility of rattlesnakes. The exploration continued with two other findings, both relics of the past with a non attainable entrance and no certainty of opulence, but with the act of discovery Gary achieved introducing his friends to his youthful past and the sharing of enduring memories. The returning transit to the bay-area was a non-event, the 22-year-old Chevy still a reliable highway performer, the three returning musicians once back in Oakland, still hopeful of a discovery, not a gold mine from the past but a mother lode on the bandstand. This entry was posted on December 18, 2016 at 4:48 am and is filed under Uncategorized. You can follow any responses to this entry through the RSS 2.0 feed. You can leave a response, or trackback from your own site. Great story enjoyed it very much.